STEVEN GERRARD expects a ‘reaction’ from Rapid Vienna after the Austrian side appointed Dietmar Kuhbauer as their new manager. 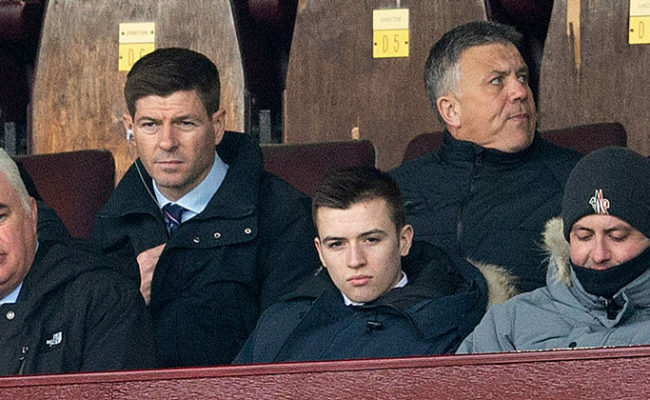 Rapid dismissed Goran Djuricin after defeat to St Polten at the weekend, with Gerrard realising certain aspects of their opponents’ play and gameplan may be alien to them given Gers haven’t been able to see the new man’s men in action yet. 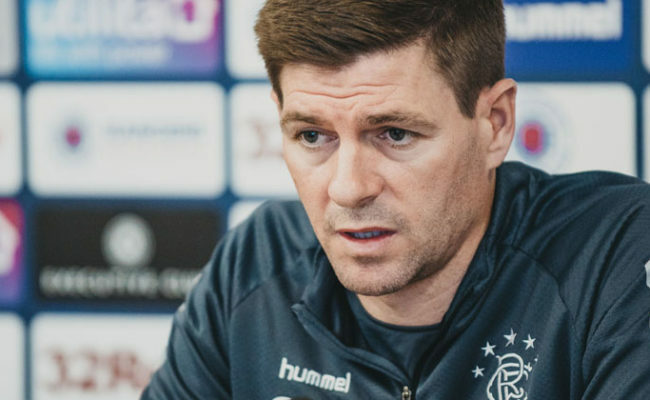 However, he has still studied Rapid’s individual players in detail, and knows a win for Gers leaves them in a terrific position ahead of the remainder of Group G.
Speaking at this afternoon’s press conference at Ibrox, Gerrard explained: “They are a good team, and a very good team technically. 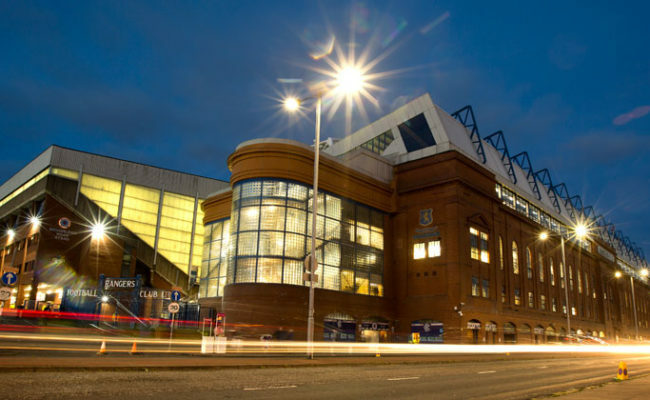 We expect a reaction from them as they have just appointed a new manager – a good manager who has got his team second in the league before he moved to Rapid. “Normally, at any club, if you get a new manager you get that fresh start as a player and as a group, so we expect a very strong Rapid performance. “In terms of their tactics and how they are going to approach it, it is very difficult to judge. We have done some work on his previous teams and we have obviously covered a lot of Rapid Vienna’s games as well. “But it is a difficult one to judge where I am sitting as I am not sure whether he has taken full control or whether he is letting his assistants take some responsibility. He has only had one training session yesterday and he has one tonight, but I am not sure he will do anything tactical tonight. “So the players are going to have to think fast on their feet and be prepared to maybe adapt as we go. “I am well aware of all of their players individually in terms of their strengths and weaknesses. I have seen Rapid at their best and I have seen them at their worst. 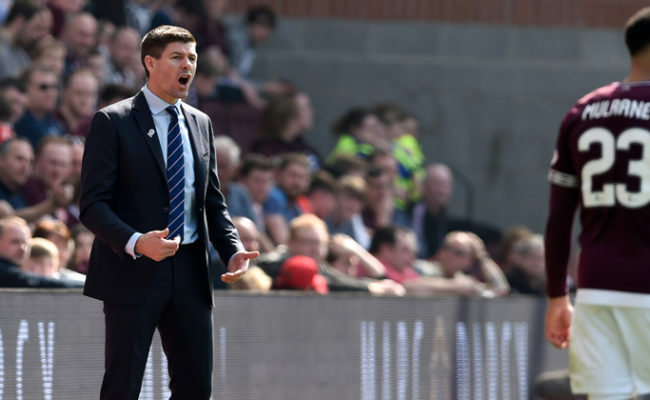 “I don’t think anything is going to change dramatically, but a new manager coming in is well entitled to change the formation or the personnel or gameplan. “Because we haven’t seen them play under this new manager it is difficult to judge, but right now, of course, as staff and players we will have to be really quick on our feet tomorrow. “It is very important and we are looking for a win tomorrow which would put us in a very strong place. But, we also respect this team – they have very, very good players out wide, in the midfield positions and up front. They are very capable of hurting us if we’re not right. “This is a level we all wanted to be involved in and to judge ourselves. I think it is a fantastic opportunity for my players to show Rapid how good a team we are here at home. “Again, the responsibility relies with us in order to get the crowd going. We can’t wait for the game to start, and we have paid more attention to ourselves rather than the opposition in terms of how we want it to look, and we are looking for a strong performance and a reaction from the weekend. “It is a great game for the players, and the fans have really enjoyed this European journey we have been on. 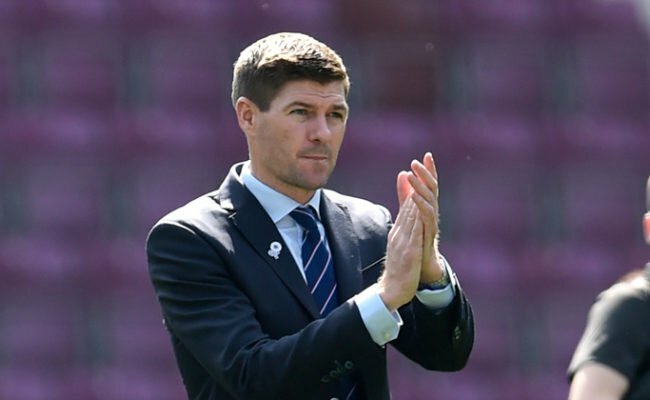 Gerrard also gave an injury update ahead of tomorrow’s match, adding: “Lee Wallace has picked up an injury in training – a grade one groin strain – so he will be a couple of weeks which is disappointing as he was looking better and better each day so that will set him back a short while.